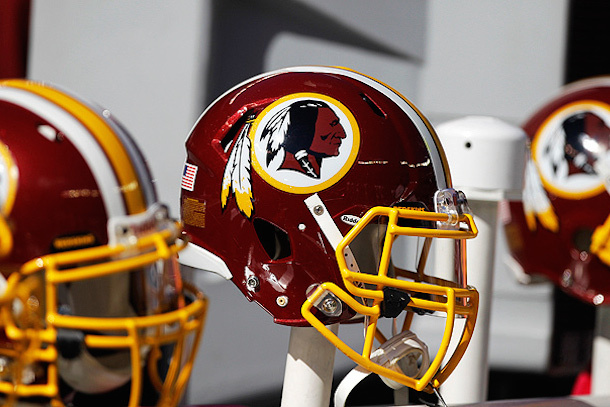 The new ruling does not make it illegal for the team to go on using the name “Redskins,” nor does it affect their current logo. However, it does mean that, if the ruling is upheld upon appeal, anybody can use the name and any previous logos that were used prior to 1990. Federal law prohibits trademarked names that are “disparaging, scandalous, contemptuous or disreputable,” and that was the basis of today’s ruling. In the end, it is quite possible that the ruling will be overturned. A very similar ruling from 1999 was also overturned based on the fact that the complaints were not filed until long after the trademarks were granted. However, whether or not the ruling is upheld or overturned, this is a pretty big blow to Washington owner Dan Snyder and anyone else in favor of maintaining the status quo. The fact is, more and more people don’t think a professional sports team should have a racial slur as its name. Now a huge government agency has weighed in. The writing is on the wall. Change the damn name already.